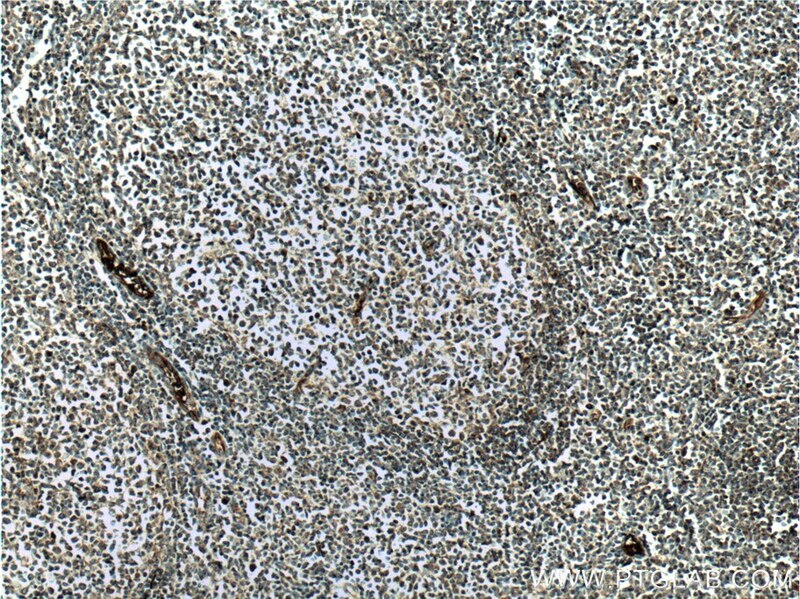 Immunohistochemical analysis of paraffin-embedded human tonsillitis tissue slide using 24304-1-AP( cIAP2 antibody) at dilution of 1:200 (under 10x lens) heat mediated antigen retrieved with Tris-EDTA buffer(pH9). 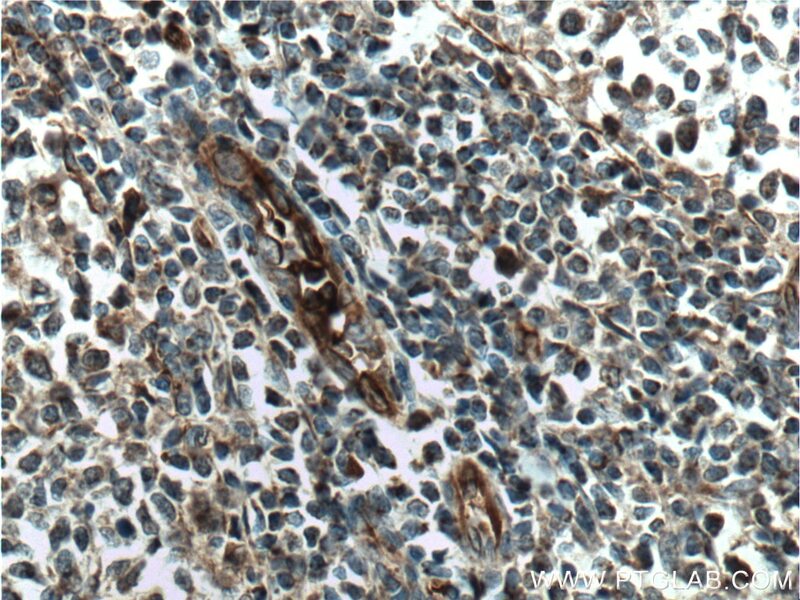 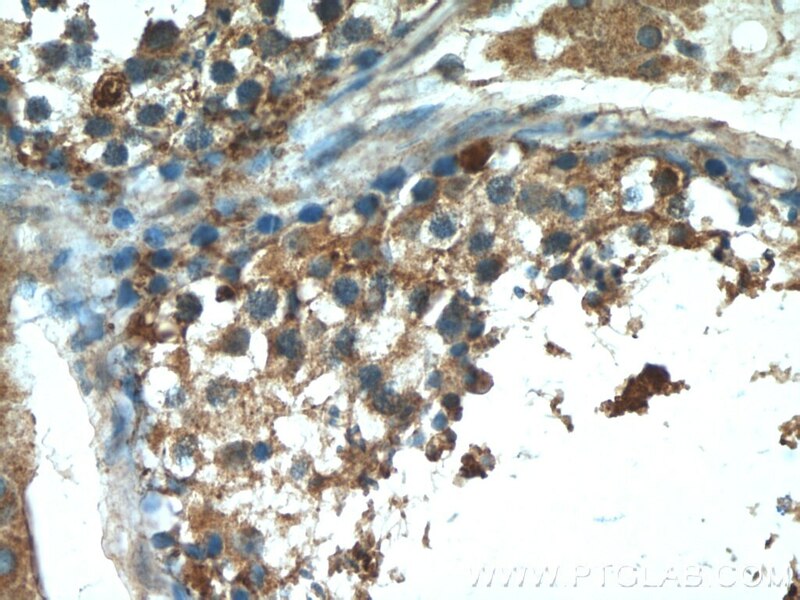 Immunohistochemical analysis of paraffin-embedded human tonsillitis tissue slide using 24304-1-AP( cIAP2 antibody) at dilution of 1:200 (under 40x lens) heat mediated antigen retrieved with Tris-EDTA buffer(pH9). 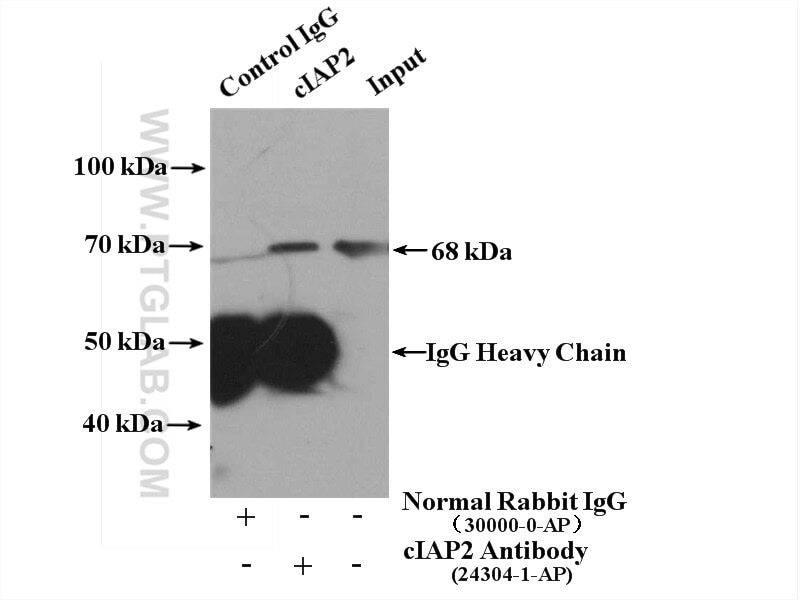 IP Result of anti-cIAP2 (IP:24304-1-AP, 4ug; Detection:24304-1-AP 1:1000) with Daudi cells lysate 2800ug. 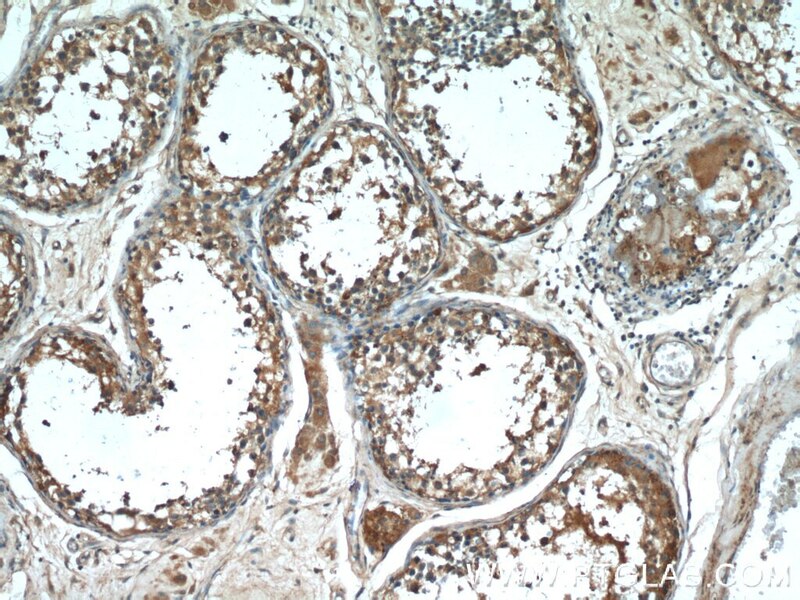 Oxaliplatin triggers necrosis as well as apoptosis in gastric cancer SGC-7901 cells. 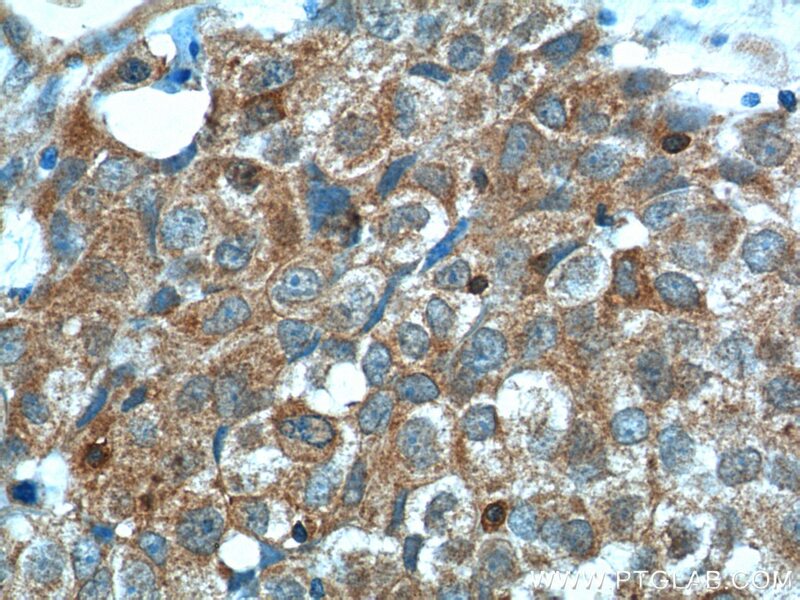 Survivin knockdown combined with apoptin overexpression inhibits cell growth significantly. 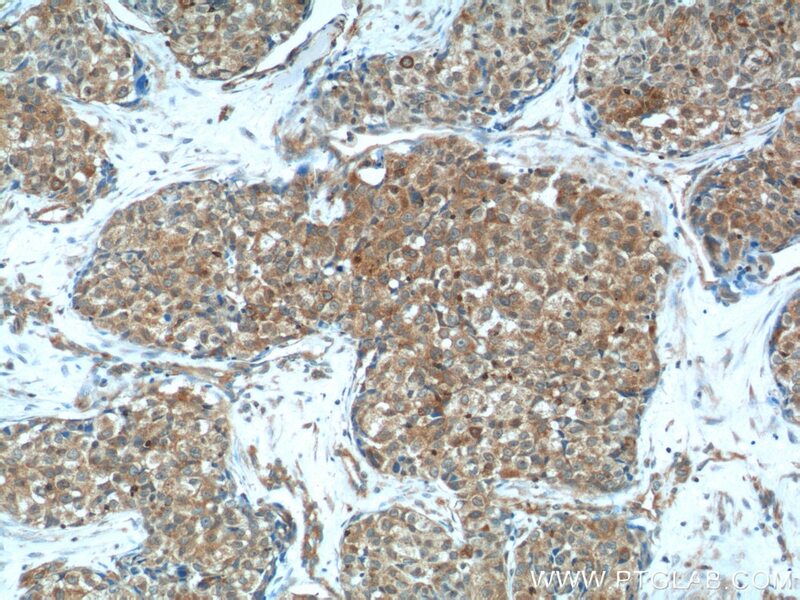 The putative tumor activator ARHGEF3 promotes nasopharyngeal carcinoma cell pathogenesis by inhibiting cellular apoptosis.